Saskatoon, SK – The 2013 MasterCard Memorial Cup tournament kicks off on Friday, May 16th, in Saskatoon, SK. 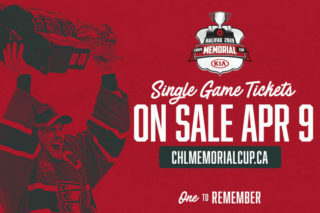 The CHL’s Championship tournament, which wraps up with the Championship game on Sunday, May 26th, features four teams – the host Saskatoon Blades, the OHL Champion London Knights, the WHL Champion Portland Winterhawks and the QMJHL Champion Halifax Mooseheads – who will battle for the storied Memorial Cup trophy. The tournament format sees each team play one another in a round-robin format. The team with the best record after the round-robin advances directly to the Championship game, while the second and third-placed teams play a semi-final game to determine the other tournament finalist. If there is a tie for third place after the round-robin, a tiebreaker game will be played to determine the second semi-finalist. The 2013 WHL Champions, the Portland Winterhawks are making their fifth appearance in the MasterCard Memorial Cup tournament since relocating to Portland in 1976. The Winterhawks won the Memorial Cup in 1983 as host team and in 1998 as WHL Champions. Up Front: The Winterhawks boast a talented and dynamic offense that led the WHL in scoring during the 2012-13 regular season. Though they have good depth up front, much of their offense comes from their top line of Brendan Leipsic, Nicolas Petan and Ty Rattie. The trio finished 1, 2 and 3 in WHL scoring during the season, combining for 143 goals and 350 points, and also piled up a combined 39 goals and 88 points in the playoffs. Rattie, a St. Louis Blues prospect, has proven to be the most prolific goal scorer in WHL playoff history, setting a new record with 50 career playoff goals. With secondary offense coming from the likes of top NHL Draft prospect Oliver Bjorkstrand, veteran Taylor Leier and sophomore Chase De Leo, the Hawks are more than capable of producing offense. On The Blue Line: One of the WHL’s best defensive Clubs during the regular season, Portland’s defence corps boasts as good a Top 4 as there is in the entire CHL with veterans Troy Rutkowski, Tyler Wotherspoon and Derrick Pouliot along with rookie Seth Jones. Jones, the top prospect for the 2013 NHL Draft, has excelled in his first WHL playoff appearance, netting five goals and 15 points while posting a team-leading +15 rating. As good as they are defensively, the Hawks’ Big Four are just as effective offensively, having combined for 15 goals and 59 points in the post-season while helping them to a 24.5% power play efficiency rating. Goaltending: 20-year-old Mac Carruth has played and won more playoff games than any other goaltender in WHL history. He finally tasted victory after having been on the losing end of the last two WHL Championship series’. The Shorewood, MN, product and Chicago Blackhawks prospect enjoyed a stellar run in the 2013 playoffs, posting a 1.63 goals-against average and a .937 save percentage with five shutouts. Carruth saved his best performances for the WHL Championship series, outdueling last year’s Championship series MVP Laurent Brossoit. The Blades are making just their second appearance at the MasterCard Memorial Cup tournament and their second appearance as the tournament’s host team. 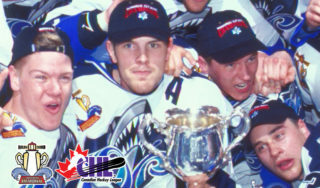 The Blades hosted the 1998 tournament, losing 4-3 in overtime to the Swift Current Broncos in the Memorial Cup championship game. Up Front: Saskatoon possesses plenty of firepower up front who paced the team to the third-best offensive output in the WHL during the regular season. Veterans Josh Nicholls, Brenden Walker, Matej Stransky and Shane McColgan lead the Blades attack, with Nicholls leading the way with 47 goals and 85 points. In addition, the Blades boast good scoring depth with veterans Nathan Burns and Collin Valcourt having each topped the 20-goal mark and defenceman Darren Dietz having led all WHL blueliners with 24 goals this season. As strong offensively as they were during the regular season, the Blades’ attack mustered just four goals in four games in their opening-round playoff loss to Medicine Hat. They will need to find their offensive spark from the regular season if they are to have success in the Memorial Cup tournament. On The Blue Line: The Blades’ veteran defence corps helped the team finish tied for the fifth-best goals-against in the WHL’s Eastern Conference during the regular season. 19-year-old Darren Dietz emerged as a major contributor, leading all WHL defencemen with 24 goals, while Colorado Avalanche prospect Duncan Siemens boasted a +31 rating to lead the defence corps. Montreal Canadiens’ prospect Dalton Thower and veteran Matt Pufahl each play a strong two-way game while veteran Graeme Craig adds plenty of size and physicality to the mix on the back end. Going up against some of the top offensive stars in the CHL at the MasterCard Memorial Cup, the Blades’ defence corps will need to bring its best to the table. Goaltending: 19-year-old Russian Andrey Makarov will need to be a major factor in the Blades’ Memorial Cup run. In his second season in the WHL, Makarov enjoyed plenty of success, sharing the WHL lead with 37 wins while posting a 2.62 goals-against average and a .919 save percentage in 61 games. Signed by the NHL’s Buffalo Sabres as a free agent, Makarov is one of the CHL’s top netminders when he is on his game. Though he may have struggled during the Blades’ first-round exit to the Medicine Hat Tigers, Makarov is fully capable of putting up game-breaking performances. The London Knights claimed their second straight OHL Championship and are back in the MasterCard Memorial Cup tournament for second year in a row. 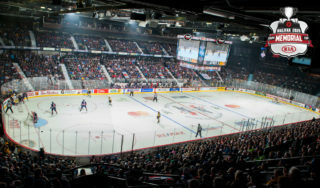 The Knights were defeated by the host Shawinigan Cataractes in the Championship game of the 2012 MasterCard Memorial Cup in Shawinigan, QC. 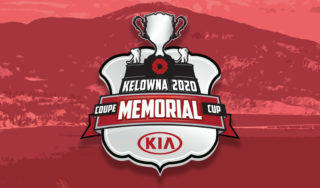 London won the 2005 Memorial Cup on home ice. Up Front:: The Knights are still a younger group up front, but they have plenty of talent and experience despite their forward contingent being primarily composed of 18 and 17-year-olds. Seth Griffith and Alex Broadhurst, the two 19-year-olds up front, have provided consistent scoring and leadership through the post-season while 17-year-old Max Domi, a top prospect for the 2013 NHL Draft, put up an impressive 32 points in 21 games. Bo Horvat, another top NHL draft prospect, stepped up his game in the OHL final, scoring seven goals and 11 points in the seven-game series, and appears to be ready for a strong Memorial Cup performance. Offensive depth lies in 18-year-olds Chris Tierney and Ryan Rupert, who both have experience from last year’s Memorial Cup tournament. The Knights boasted the OHL’s second ranked offense during the regular season, scoring 279 goals. On The Blue Line: The Knights may not be the stingy defensive club they were last year, but they still manage to get the job done, having held in check some of the OHL’s top offensive stars through the playoffs. Finnish veteran Olli Maatta anchors a Knights’ blue line that owned the OHL’s third-best team defence during the regular season. Maatta enjoyed a strong playoff run, leading the team’s defence corps with 14 points and a +10 rating. Scott Harrington, a two-time veteran of Canada’s National Junior team, has the ability to shut down the opposition’s key offensive stars. He, along with veterans Tommy Hughes and Tyler Ferry, will have their hands full trying to contain the likes Portland’s Ty Rattie, Halifax’s Jonathan Drouin and Nathan MacKinnon, and Saskatoon’s Josh Nicholls. Goaltending: 18-year-olds Anthony Stolarz and Jake Patterson split playing time for much of the season, but it was Stolarz who got the nod come playoff time, posting a 13-4-1 record with a shutout, a 2.20 goals-against average and a .920 save percentage through the first 18 games of the post-season. However, is was Patterson who took over the starting job for Game 5 of the OHL Championship series and, with the Knights trailing 3-1 in the set, led them to three straight wins to capture the OHL title. With two solid options to choose from, the Knights should be set with their goaltending for the 2013 MasterCard Memorial Cup. 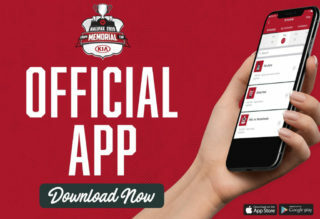 The Halifax Mooseheads are making their second appearance in the MasterCard Memorial Cup tournament after capturing their first QMJHL Championship. The Mooseheads hosted the 2000 Memorial Cup tournament, losing in the semi-final to the Barrie Colts. Halifax comes into the 2013 MasterCard Memorial Cup tournament as the No. 1 ranked team in the entire CHL. Up Front: The Mooseheads are a formidable offensive force, having piled up a whopping 347 goals over the course of the 68-game regular season and scoring another 90 goals through 17 post-season contests. 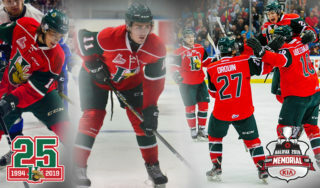 In 17-year-olds Jonathan Drouin and Nathan MacKinnon, the Mooseheads boast two of the top prospects for the 2013 NHL Draft. The Dynamic Duo of Drouin and MacKinnon combined for 24 goals and 68 points through the post-season after posting 73 goals and 180 points during the regular season. Czech veteran Martin Frk also averaged nearly two points per game in the playoffs while Stefan Fournier, Stephen MacAuley and defenceman Konrad Abeltshauser round out a group of six Mooseheads to put up at least 20 points in the playoffs. On The Blue Line: While they were the runaway offensive leaders in the QMJHL this year, the Mooseheads were also the League’s top defensive club, allowing a League-low 176 goals. Veteran German rearguard Konrad Abeltshauser has managed to put up over a point per game in the playoffs while also boasting a solid +18 rating while 19-year-old veteran Brendan Duke led the team with a +23 rating in playoff action, and anchored a penalty killing unit that operated at an impressive 90.7% efficiency rate during the post-season. Though they may not be the flashiest group, Halifax’s defence corps has strong depth and solid defensive acumen. Goaltending: At just 17 years old, Zachary Fucale is the youngest among the starting goaltenders at the 2013 MasterCard Memorial Cup. Yet, the top goaltending prospect for the 2013 NHL Draft has performed like a seasoned veteran all season, posting an amazing 45 wins during the regular season and then backstopping the Mooseheads to the QMJHL Championship on the back of a 2.02 goals-against average and a .919 save percentage. Already with 34 games of playoff experience, Fucale provides the Mooseheads with as good of goaltending as there will be at the 2013 MasterCard Memorial Cup, despite his young age.